Those of you who have visited North For Men in Guiseley will know that we are a sporty bunch of stylists! Conversations often turn to talk of football, rugby league, running, weight training or swimming. By his own admission, Richard is more of an armchair football fan these days, preferring the pastime of swimming to the rigorous demands of 80 minutes on the pitch. 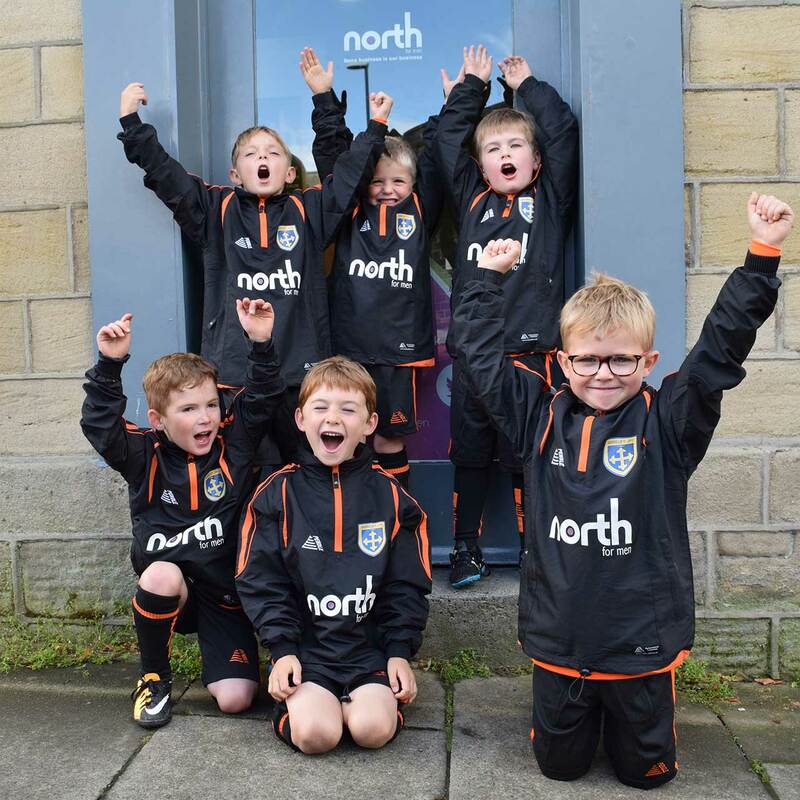 It was therefore a no brainer when we were approached by one of our customers, and a Guiseley Juniors FC coach, Dan Spiers, to see if we could help support the team with sponsorship for new tracksuit tops. Whilst the club hasn’t been a part of the Guiseley establishment for quite as long as North For Men, they have been in existence for nearly 30 years so we didn’t hesitate to offer our support for a community club. With around 50 teams and in excess of 500 junior footballers playing within the West Yorkshire area, the club is one of, if not the biggest club in the country; continually helping local boys and girls in the grass roots community improve their game, promoting high standards of behaviour and respect in the game. 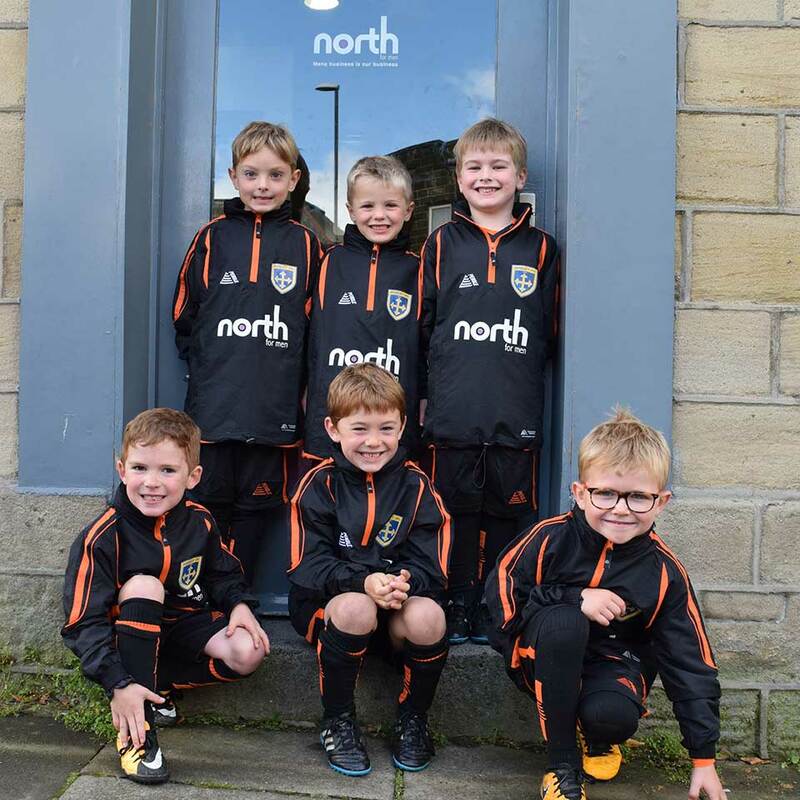 Team North were honoured to have a number of the team visit the salon on Saturday to show us their brand new tracksuit tops that will be keeping them warm and dry this season. After a few photographs and a chat with Richard the boys were off, ready to prepare for their first official game of the season the following day (lollies in hand – they do need to keep their energy levels up after all!). Guiseley Juniors FC are an FA Charter Standard community club, and have official FA qualified coaches. The quality of the football is top tier and the team spirit second to none, and they’re always on the look out for new players, boys and girls! If you want to get involved as a parent, there are always opportunities to get involved as coaches, assistants, fundraisers and more – they’re a big organisation, requiring all manner of skills from men and women to run smoothly. Guiseley Juniors FC takes child welfare seriously and every player is asked to follow the Young Player Respect Code of Conduct Commitment. 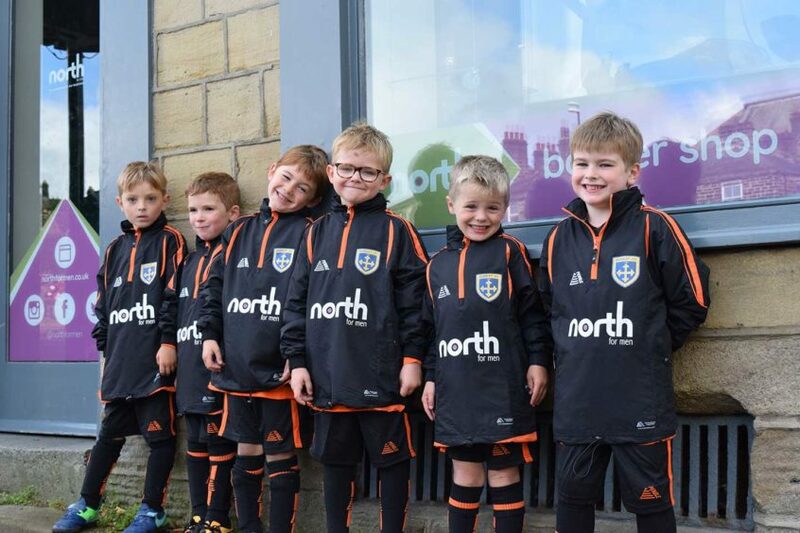 All of us here at North are proud to help support Guiseley Juniors FC and we wish them every success this season! I’m sure we’ll be hitting the side lines soon to cheer them along!